Bryan Jay Koeff is a writer, artist and photographer in Alaska. He has designed special needs software, worked with Native Alaskans, lived with monks, toyed with bears, mingled with celebrities, dwelled with the homeless, drummed with hippies, rafted the rivers, romped around Europe, and labored in the Amazon. Bryan’s hunger for mystery and adventure is evident in his new book, Cliff of the King. 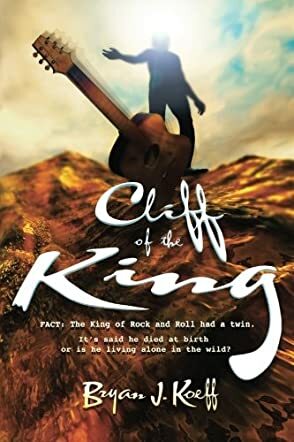 Cliff of the King: The King of Rock & Roll Had a Twin - It's Said He Died at Birth or Is He Living Alone in the Wild? by Bryan Jay Koeff is a fascinating and interesting book for all Elvis fans who want to know more about the King of Rock and Roll and his life. Roy Redford discovers a secret on the top of a cliff in the rocky terrain of Zion National Park. He stumbles upon a damaged guitar while hiking there, and goes up the hill to discover a secret that will shock fans of the King. What is the secret that Roy Redford stumbles upon on his hiking trip? The book has a lot of information about Elvis which is educational, amazing, and enlightening. The fictional character of 'Friend' in the book is mysterious and elusive, but he captures the essence of the spirit of Elvis and lets readers understand the life of one of the greatest legends of all time. The authentic details and the interesting main character of the story will pull readers into the book. The narration is descriptive and vivid, making the scenes and the characters come alive for readers. Roy Redford's character is memorable and the author makes sure that he takes readers into the story and keeps them up there. Readers will connect well with Elvis through this story, and the little known details about Elvis, the weaving together of fact and fiction, will take readers closer to the legend. Bryan Koeff has painted fantastic word pictures describing tne area in and around Zion National Park. I have visited the area and know it well. The book is suspenseful and has the reader hanging on every word. I couldn't put the book down until I finished it. I am sending a copy of it to a friend in Australia who is an Elvisphile.